Former president, Chief Olusegun Obasanjo has noted that without peace and unity, the country cannot make significant progress. According to the ex-president, Nigeria can only progress when all of its citizens have a sense of belonging, unity and security. 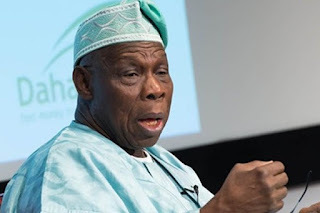 Obasanjo spoke yesterday in Asaba, Delta State, at a meeting with the executive members of the Delta state Traditional Council led by its chairman, Obi Efizomor II, Obi Of Owa. According to him, “I am an incurable optimist about this country, Nigeria is not a perfect country but it can be made to make progress, move at a pace that will be advantageous to all of us, no matter our tribe, position gender and race. The former military head of state commended the state Governor, Ifeanyi Okowa, for bringing peace, unity, development and cooperation among the people of Delta. Obasanjo called on the traditional council to continue to be pillar of support to the Governor in his developmental strides. He also reminded the traditional rulers that they were bastion of peace, unity and development in their various domains.